Tuesday's crude trading session saw the same fear that motivated the previous session - that of weak U.S. factory orders - cause prices to decline again, with West Texas Intermediate falling 90 cents, or 1.7 percent, at $53.66 per barrel, and Brent down 41 cents at $62.10 per barrel. Tuesday was also characterized with what is now a hallmark of trader behaviour: a partial mitigation of losses based on news that can hardly be qualified as good in the social sense of the word but nonetheless offsets worries about rising crude output and weakening demand, ie: the U.S. sanctions against Venezuela, which are putting a stranglehold on the Bolivian republic's troubled oil production sector. Andrew Lipow, president of Lipow Oil Associates, summarized the situation by remarking, "I think the oil market is trying to decide whether the factory orders will weigh on the price or the Venezuela and oil sanctions will support the price; as a result, we've seen the market fluctuating." But the focus on day to day market performance obscures the fact that overall, the crude industry continues to be remarkably robust compared to the dismal closing months of 2018, and even on that score production giants still achieved outstanding gains, the latest case in point being BP, which on Tuesday reported stronger-than-anticipated full-year profits of $12.7 billion in 2018. Bob Dudley, chief executive of BP, said, "We've doubled our earnings from last year (and) we've doubled our returns from last year — that's what shareholders wanted to see." 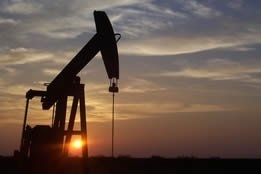 As for what 2019 holds in store for his company, Dudley remarked, "As we look it, it feels like the markets will be firmer; I couldn't predict the oil price, but we are planning BP between $50 and $65." But for those who prefer to scrutinize the trading community, then get set for more wild price swings: that was the message delivered by Robert McNally, president of Rapidan Energy Group, who said, "In this boom-bust era, as in prior ones, you can have a year or two of stability, but in general when you don't have an effective swing producer and you have big imbalances and geopolitical risk, there's volatility. "I'm telling everybody, 'Buckle up': that's the market we're in for the foreseeable future." Daniel Yergin, vice chairman of IHS Markit, agreed: "I think the oil price is moved by what happens with the overall financial markets; it means sentiment will have a bigger impact on the oil price, [and] a big surge in U.S. oil production becomes bearish for the global market so you get more and more complicated feedback loops." Yergin added, "I think it means more caution about long-cycle oil projects; I think that's an immediate impact." It almost goes without saying that accompanying the sentiment will be crude analysts playing it safe by making wide-ranging predictions about market movement, for example, Ted Seifried, chief market strategist at Zaner AG Hedge, told Bloomberg television on Tuesday that "I'm wondering if crude oil backs up, has a bit of a correction - maybe we get down to, say, the $48-$40 level or so in WTI - and then we see a bounce from there...and eventually get into the mid $60s."